Remarkably, the roots of the “Holodomor” (“deliberate starvation”) myth lie in the longstanding Cold War standoff between Soviet Russia and the West. After the defeat of Nazi Germany in 1945, infamous Nazi collaborators — members of the Organization of Ukrainian Nationalists (OUN) and their paramilitary UPA (Ukrainian Insurgent Army) units — fled into Western Europe and the United States, escaping punishment for their hideous crimes, including ruthless terror against peaceful Jewish, Ukrainian and Russian civilians. In 1949 the CIA and the US State Department sponsored the OUN-UPA leaders’ immigration to the United States, planning to use them as subversion groups and intelligence agents in the Cold War against Soviet Russia. One of them, Mykola Lebed was characterized as “a well-known sadist and collaborator of the Germans” by the CIA, according to Swedish-American historian Dr. Per Anders Rudling in his book “The OUN, the UPA and the Holocaust: A Study in the Manufacturing of Historical Myths.” However, this fact had not prevented the CIA from recruiting the former Nazi collaborator. After the collapse of the USSR, the Ukrainian diaspora played a substantial role in shaping the ideology of the new Ukrainian state. “Unlike many other former Soviet republics, the Ukrainian government did not need to develop new national myths from scratch, but imported ready concepts developed in the Ukrainian diaspora,” Dr. Rudling underscored.However, it was under Ukrainian President Viktor Yushchenko (who gained his power after the Western-sponsored Maidan uprising of 2004, also known as the Orange Revolution) when the anti-Russian myth making caught its second wind in Ukraine. Under Yushchenko, several institutes of “memory management” and “myth making” were established in the country. Both Russian and Western historians have questioned the “Holodomor” concept as well as evidently exaggerated number of victims of the famine of 1932-33 in Ukraine. According to the scholar, although the Stalin regime implemented collectivization “coercively,” the policy “brought substantial modernization to traditional agriculture in the Soviet Union, and laid the basis for relatively high food production and consumption by the 1970s and 1980s” (“Stalin, Soviet Agriculture and Collectivization, 1930-1939”).Remarkably, the famine of 1932-33 was the last famine that struck the Soviet Union with the exception for the famine of 1946-47 the country suffered from after the Second World War. On November 21, the Harper government displayed undying love for Hitler fascism in the United Nations, in full collaboration with Ukraine and international imperialism’s bulwark of reaction, the United States. The vote continues international imperialism’s policy of appeasing fascism in Ukraine, which bans holidays celebrating the defeat of fascism, allows the lawless destruction of memorials to Soviet soldiers who died fighting the Nazis, and celebrates the founding of Ukrainian fascist groups who murdered Jews, communists and anti‑fascists. European countries comprised 41 of the 55 abstaining countries. Lithuania explained the EU’s decision to abstain, saying fascism has nothing to do with racism, an outright deception. In fact, Lithuania has an active neo‑Nazi movement, much like Ukraine. Too afraid of pubic opinion to show their fascist stripes, these countries are allied with the U.S. and Canada in their ideological support for fascism. The vote is a major step of North American imperialism publicly to embrace fascism as an acceptable ideology in its foreign policy ambitions. The vote tramples on the very reason for drafting the UN Charter itself, the defeat of fascism. 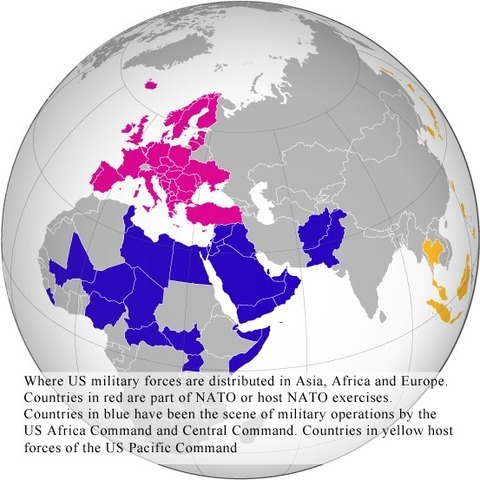 It continues the policy of propping‑up of Ukraine as an Eastern outpost of NATO imperialism, for use as a springboard of aggression against Russia and China. War would be the natural continuation of this policy by violent means. Russia is imperialism’s new target and perhaps the most dangerous front of aggression, motivated by rivalries among capitalist countries. Imperialism’s most reactionary circles also view war as tool of class struggle against resistance to global capitalism. Such a war against Russia would be the final argument of a capitalist system lurching into deeper crisis. Fascism and imperialism’s policy of appeasement, which caused the last world war, must not be allowed to take root again. Such a war today would have a profoundly harmful impact on democratic rights and the conditions of the class struggle in Canada, similar to the other inter‑imperialist wars of the last century. For example, the First World War ended in the banning of democratic, progressive and socialist groups and parties, all of whom were opposed to Canada’s participation. Democratic and progressive groups in Manitoba who oppose a new war against Russia need to raise the demand for the return of Canada’s warplanes, soldiers and ships from Eastern Europe and the Black Sea, and for Canada’s departure from the NATO military alliance. 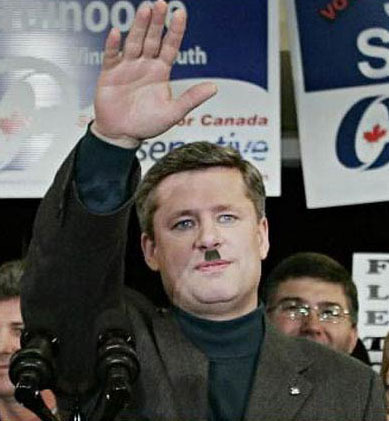 Harper was previously the leader of the National Citizen’s Coalition, a right-wing organization founded to oppose universal healthcare in Canada.